Those who stay at an Airbnb in Richmond will be required to pay a 10-percent occupancy tax starting on June 1. The occupancy tax, which passed at Tuesday’s City Council meeting, will be added and collected based on the listing price of the Airbnb rental. Hosts will not lose money as a result of the fee, but they may have to add the “special offer” to add occupancy tax to the cost of a rental when it goes into effect in June. Airbnb will remit the taxes back to the city on the host’s behalf. In a statement, Airbnb notes that the company entered the tax agreement voluntarily. Oakland, San Francisco, San Jose and San Mateo already have imposed occupancy tax — sometimes called “hotel tax” or “tourism tax” — on rentals. “Our community of hosts want to pay their fair share,” Jasmine Mora, a press secretary with Airbnb, said in a statement to NBC Bay Area. “We have worked with 275 governments around the world to help hosts pay taxes." The company did not respond when asked if the hotel tax discouraged renters or hosts from using the service. Historically, cities have charged occupancy taxes on hotels that operate in the city, but Airbnb’s popularity with tourists and business professionals has led to increased calls for regulation by cities and the hotel industry. The average rental price for a Richmond Airbnb in March was $161. 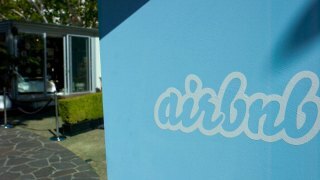 According to AirDNA, an analytics firm that tracks Airbnb transactions, the city has more than 75 active airbnb hosts, and Airbnb collected about $30,000 in revenue from rentals in the city.